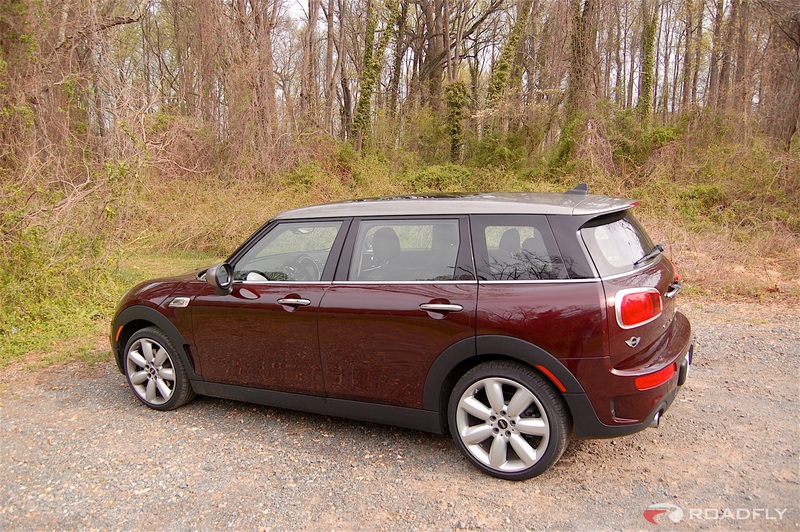 MINI calls the 2016 Mini Cooper S Clubman the “Big Mini”. I referred to it as the Maxi Mini for the week that I sped through town working my way through its 6 manually shifted gears – although sadly the term didn’t really seem to catch on. Anyway, I love Minis. I had the 2015 Mini Cooper S 4-door hardtop in the Fall and I just loved it. See my prior review here. 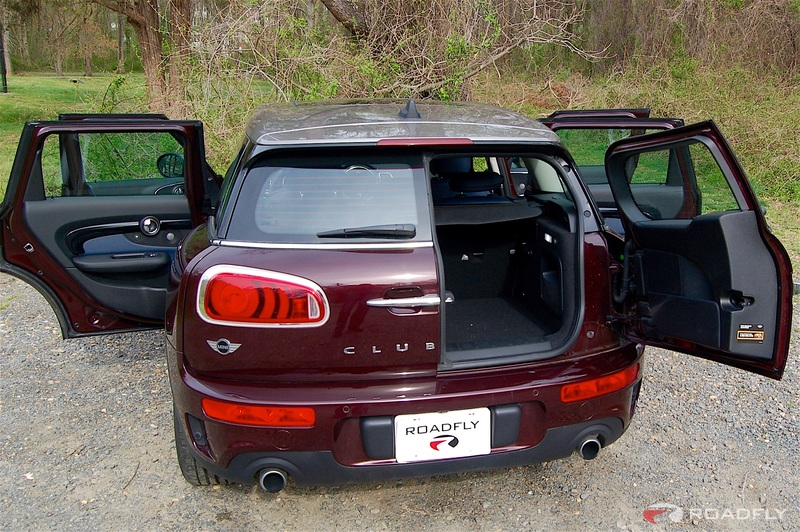 Minis are just plain fun to drive and great to look at and with the Clubman you have more room for your passengers and your stuff (about seven extra cubic feet of cargo space). Just think how much gold they could have stolen in the Italian Job if MINI had come out with the Clubman back in 2003 instead of 2007. So some might think the Big Mini is an oxymoron. Jumbo shrimp, crazy wisdom, same difference. What’s the point of a Big Mini? That’s what I thought at first. Minis are small. That’s the whole point isn’t it? When the classic Mini was introduced by Sir Leonard Lord of the Morris Company in 1959 it was meant to be a small, fuel-efficient car capable of carrying four adults, within economic reach of just about everyone. By 1999 over 5 million classic Minis had been sold. In October of that same year the new Mini was unveiled at the Paris Auto Show just as the last classic Mini was rolling off the assembly line. The Hardtop Mini hit American shores in 2002 and the Clubman Mini in 2007. The Clubman S comes with the same 2.0 liter 4-cylinder MINI TwinPower Turbo engine found in the Hardtop S (189 horsepower with 207 lb-ft of torque delivered via a 6-speed Getrag manually shifted gearbox). The wheels are still pushed to the corners providing that ultra wide stance and go-kart style handing that Minis have come to be known for. 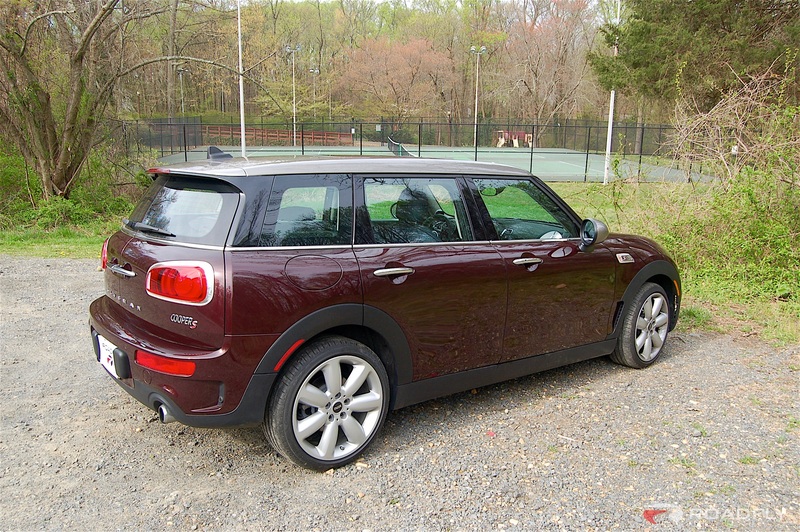 The only real difference being that the Clubman S is roughly a foot longer, 340 pounds heavier and has about 7 cubic feet of more cargo space than the 4-door Hardtop S. Notwithstanding the extra size and weight, the Clubman S is just as quick, nimble and fun to drive as its little brother. And the extra size didn’t ruin the appearance either. 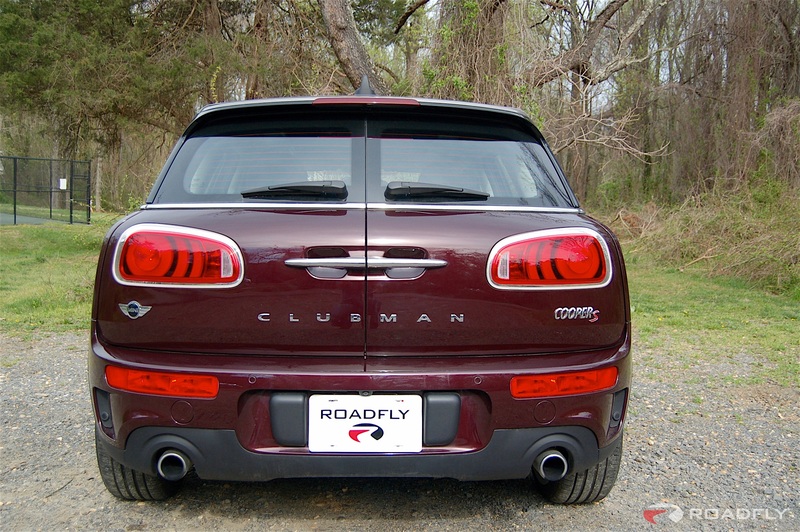 In fact, with the foot-activated iconic split rear door, I think the Clubman is better looking. 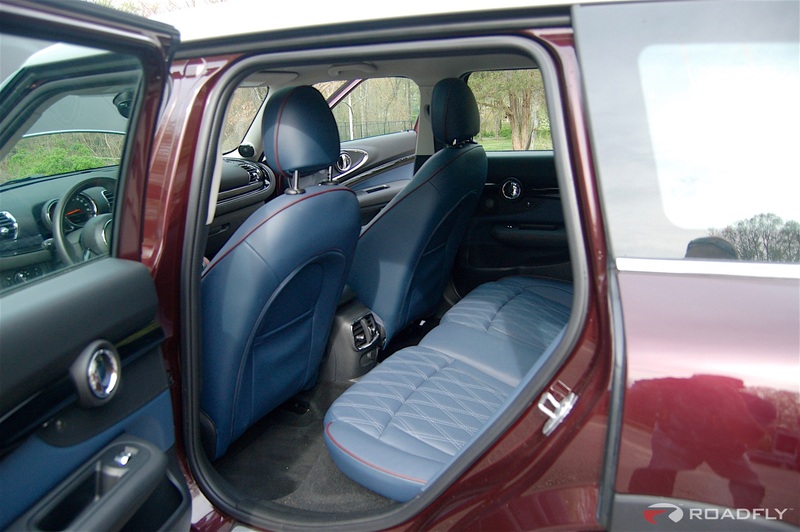 The interior of the Clubman is the same as the Hardtop S – cool, fun and retro! Fire engine red toggle ignition switch. 6.5 inch high-def LCD display surrounded by an interactive LED ring. Interior LED mood lighting throughout. Huge panoramic moonroof. Leather seating. Heated seats. Its all in there, as long as you don’t mind paying for it that is. The Clubman S starts out at a very reasonable base price of $27,000, but jumps up pretty quick as MINI likes to charge for the options. 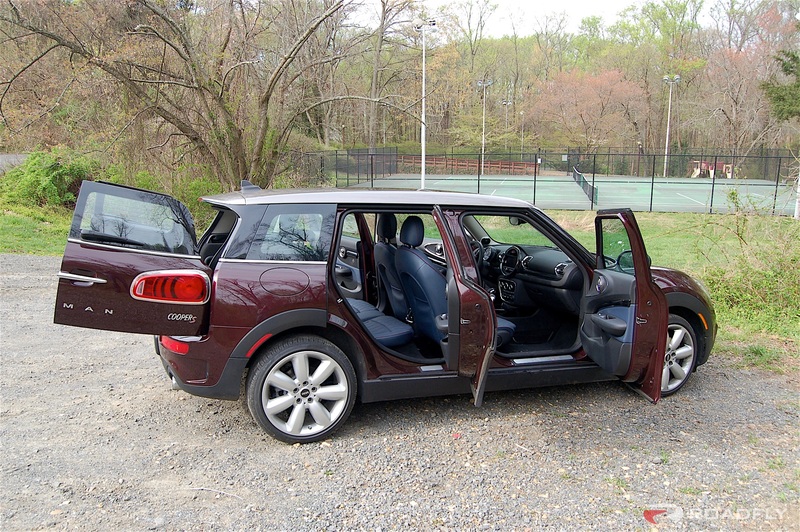 My Mini Clubman S was just north of $40,000 equipped with just about every option you could ever want (and even a few you probably don’t). But even at $40,000, this is one of the best looking and most fun cars to drive in its price range. When I’m at a restaurant I often order jumbo shrimp. And you know what? Oxymoron or not, I like jumbo shrimp. 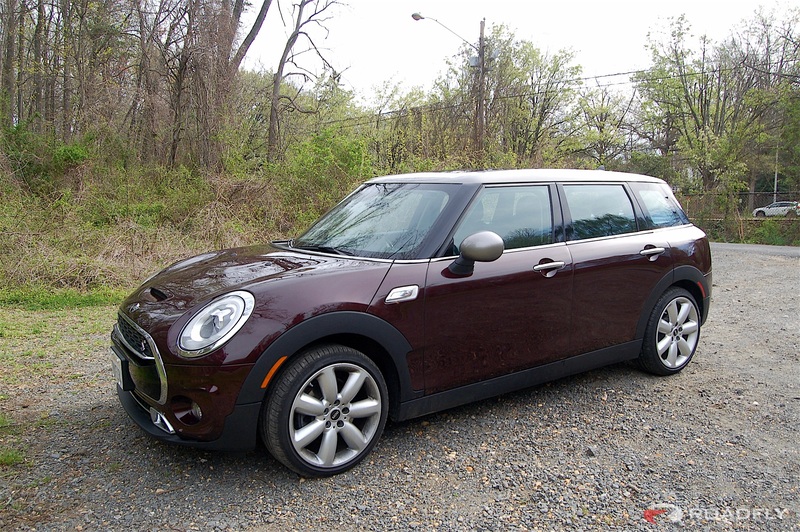 And I really like the 2016 Mini Cooper Clubman S. Some might look at the Clubman S compared to other $40,000 sedans and say same difference. I don’t agree. And I don’t think it takes crazy wisdom to see that.